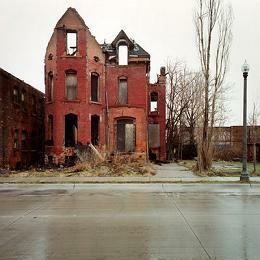 Major developments took place during the first official week of emergency management in Detroit. A series of demonstrations against state-appointed bank functionary, Kevyn Orr, highlighted that the widespread opposition to the usurpation of local power still has resonance. On March 25, Detroiters rallied outside the Coleman A. Young Municipal Center (City Hall) denouncing the appointment of Orr and his overseer conservative Republican Gov. Rick Snyder. Rev. David Bullock, a local activist and Pastor of Great St. Matthews Baptist Church hosted the rally where people chanted slogans against the denial of voting rights in the city which is over 85 percent African American. Atty. Jerome Goldberg of the Moratorium NOW! Coalition to Stop Foreclosures, Evictions and Utility Shut-offs was invited to address the crowd. Goldberg slammed the banks as the main source of the crisis in Detroit, calling for an immediate halt to the payment of debt-service on the fraudulent $16.9 billion that the financial institutions claim is owed by the working people of the city. Also in Cleveland, a bus load of Detroit residents arrived early in the morning to set up a picket line outside the Jones Day law firm which Kevyn Orr recently resigned as a partner. The firm was heavily involved in the Chrysler bankruptcy of 2009 and has ties with the banks that hold the billions of dollars in debt that is said to be owed by the City of Detroit. At the Moratorium NOW! Coalition weekly organizing meeting on March 25, the group reviewed developments on the first day of the takeover. Organizers noted that the struggle was clearly related to the denial of democracy and the right of self-determination for the overwhelmingly majority African American population but emphasized that if the banks and corporations were not targeted in the struggle that the real culprits would continue to rob the people through debt obligations that were far from legitimate. The Moratorium NOW! Coalition has obtained over 3,000 pages of financial documents related to bond issues, pension fund and water department obligations and loans made to the City of Detroit over the last eight years. A team of Coalition members and friends are going through the documents in order to issue a people’s review of the financial situation of the city. A public meeting is being planned for downtown Detroit in early May to expose the role of the banks in the financial crisis. The Coalition has received support from trade unions, activists and a prominent law firm which have offered their assistance in analyzing the documents and developing strategies to fight the banks. On March 28 several hundred activists representing numerous organizations from around the city marched from the Metro AFL-CIO headquarters downtown to the federal courthouse to demonstrate in support of the filing of a federal lawsuit to overturn emergency management. The lawsuit was filed by the Sugar Law Center, a progressive organization which carried out a similar action in the state courts in 2011. The state challenge in 2011 was stalled in the courts. Later in 2012, a statewide petition campaign gathered over 220,000 signatures that led to the placing of a referendum on emergency management on the ballot in November. Even though a clear majority of people throughout the state voted against emergency management, the lame duck Republican-dominated House and Senate in Lansing passed another law as an appropriations bill, shielding it from a popular referendum, and therefore reinstituting the same dictatorial policies. The new bill, Public Act 436, went into effect on March 28. The most recent legal challenge to emergency management has drawn comment from several leading scholars in the Detroit area. The lawsuit claims that the voting rights of Michigan residents under emergency management are being violated and that the people living in these municipalities are treated unfairly. Other municipalities not under state control are allowed to elect their local officials whereas Detroit and other majority African American cities in Michigan are being denied this democratic right. Within the legal language of the lawsuit it states that Public Act 436 creates another form of governance that allows municipalities to be controlled by an unelected official “who is vested with broad legislative power and whose orders, appointments, expenditures and other decisions are not reviewable by local voters.” Since the emergency manager mandates that all existing contracts can be broken with the exception of payments to the banks, in essence it is a bankers’ bill. After the March 28 demonstration walked to the federal courthouse, it continued to City Hall where a rally was held outside. Later over 200 people marched into the building determined to go to the 11th floor where the offices of Kevyn Orr are located. When the demonstrators reached the security checkpoint on the first floor some were able to get through before an apparent order was given to stop the march. Private security guards and Wayne County Sheriff Deputies stood on the other side of the security corridor denying entry by the protesters. People at that point began chanting “Whose City, Our City! Whose Building, Our Building! Later some people sat down and refused to move. These actions effectively shut down the building for two hours. Although no arrests were made, many of the participants were prepared to go to jail. One steelworker handed over his personal property to a colleague just in case he got nabbed by the cops. The Moratorium NOW! Coalition has posted the documents they received from the City of Detroit through Freedom of Information Act (FOIA) lawsuit in an effort to build a statewide campaign against the banks. The Coalition is requesting the intervention of investigative journalists, activists, trade unionists, policy makers and historians to read and analyze the documents. The documents reveal a pattern of interest rate swaps and termination schedules that have rendered the City of Detroit to financial ruin. Based upon these measures being enacted by Snyder, there is no mandate to ensure that those responsible for the economic crisis be held accountable to the people of Detroit and the state of Michigan. The Moratorium NOW! Coalition in its campaign to hold the financial institutions accountable will soon be calling for a resumption of demonstrations against the banks which hold the debt for Detroit including Bank of America, U.S. Bank and others. Two demonstrations were held in the financial district last spring which drew the attention of the leading activists in the city. The crisis in Detroit is mirrored by developments taking place in Stockton, California where the financial institutions and bond insurers are challenging the right of the city to file bankruptcy saying that there is no crisis and the banks must be paid first. In San Bernardino, California, the state is attempting to withhold revenue sharing funds because the city does not want to pay the banks but instead take care of pension funds and employees. These struggles involving the strangling of municipalities will intensify over the next several months. Progressive forces throughout the country must address these issues in order to build a national and international campaign to stop the tyranny of the banks. To view the documents posted by Moratorium NOW! Coalition in Detroit just log on to the following websites: www.moratorium-mi.org and www.detroitdebtmoratorium.org .